DJ Rudy of Major Soundz has been providing entertainment for corporates, small and large in and around the Gauteng area. We can provide profession DJ services, music or entertainment for your Year End Function’s, Product Launches, Brand Activations, Team building...etc. Our professional corporate events DJ’s are equipped with aesthetically pleasing equipment match any level of sophistication. 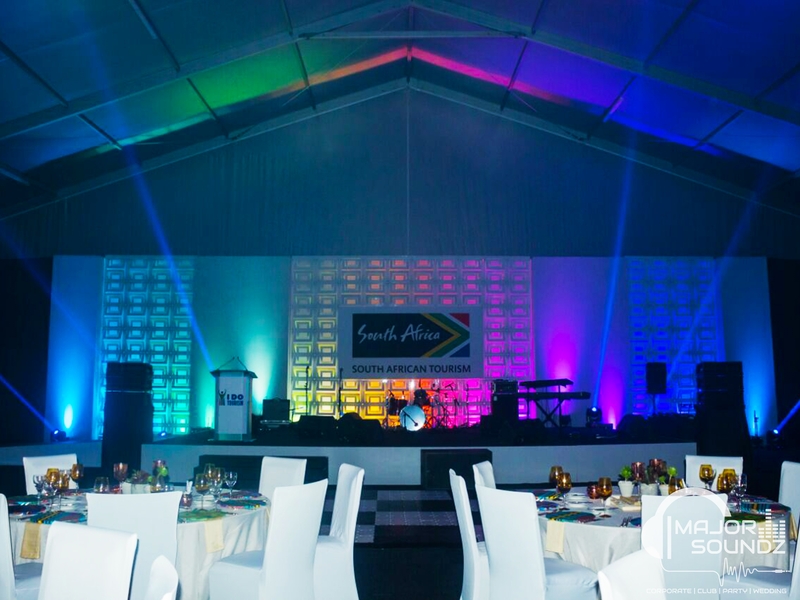 Whether your vision is an elegant cocktail event, a themed corporate event or something in between, Major Soundz offers the perfect corporate entertainment solution for your company and your budget. We make things easy for you at Major Soundz,we can provide the entire package; DJ, sound and lighting. Everything can be tailored for your requirements including any theme based music. Our equipment is the very best available, both technologically and visually; which means we offer nothing but the best in sound and lighting for your function. If you want to deal with corporate DJs that have a reputation for striking the perfect balance, then Get A Quote today.